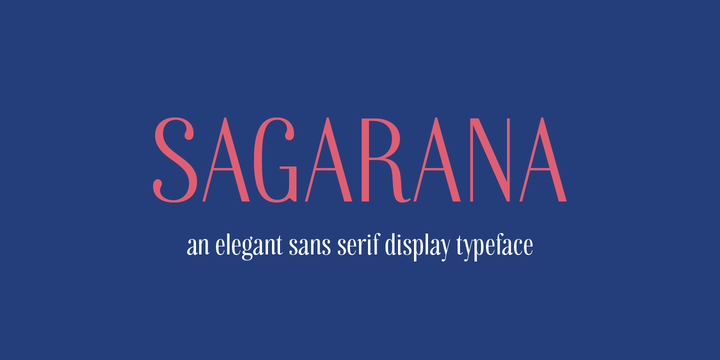 Sagarana is a sans serif display typeface created by Emerson Eller and published by Eller Type which is available in 3 styles (Regular, SemiBold, Bold), useful OpenType features and multilingual support. Inspired by a Brazilian book cover from 50’s, it is ideal for editorail purpose but because of its romantic, clear and modern style, its makes you use it for bold project such as fashion, perfumes, cosmetics etc. Enjoy! Price: starting from $35,00 for one font to $90,00 for all 3 fonts. A font description published on Wednesday, January 31st, 2018 in Eller Type, Emerson Eller, Fonts by Alexandra that has 2,290 views.